Trenton – Senate President Steve Sweeney today praised the Governor for taking the first step toward developing a plan to leverage major state assets to stabilize the state’s severely underfunded pension system. The action directly mirrors the findings of the bipartisan Economic and Fiscal Policy Workgroup and the recommendations incorporated into Path To Progress, the policy agenda that will help realize the fiscal reforms identified by the bipartisan, blue ribbon panel. “Leveraging state assets to lower the unfunded liability in the pension system is one of the major recommendations in the Path to Progress report we issued last August. We look forward to working cooperatively with the Administration to implement the legislation that will be needed to achieve savings, as we did two years ago when we worked with the last Administration to cut the unfunded pension liability by putting the New Jersey Lottery into the pension system,” said Senator Sweeney (D-Gloucester/Salem/Cumberland). The New Jersey State Treasurer issued a “Request for Qualifications” to hire a State Asset Financial Advisor to find savings from state assets to help fund the state pensions and benefits. The advisor will examine various state assets, including property, buildings, roads or other improvements, transit facilities, rights of way, air rights or other development rights, naming rights, and infrastructure such as airports, bridges, water facilities, ports, parks and recreational facilities for the benefit of the state’s pension plans, retiree benefits or other state debt. “The Treasury’s action is fully in line with our recommendations to analyze all of the asset holdings not only of the state government itself, but particularly of various independent authorities, including transportation infrastructure, water and sewer authorities, real estate and reservoirs,” said Senator Sweeney. Development of legislation to enable the State to transfer assets into the pension system, including a procedure for local governments to dedicate local assets in lieu of pension contributions. 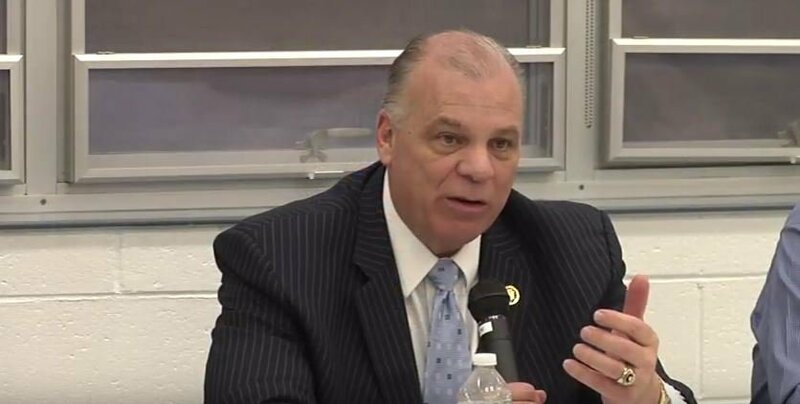 Senator Sweeney noted that the New Jersey Lottery transfer lowered the unfunded liability in the pension systems for teachers and state workers by $13 billion.